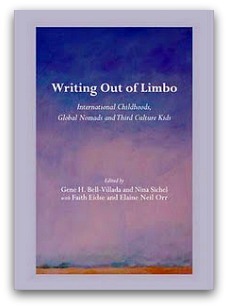 As a result of ML Awanohara’s post Best of 2011: Books for, by, and about expats, we keep hearing about other books that qualify for inclusion. We have therefore created this additional list of 2011 works, to which we’ll continue adding as new discoveries are made. Click on the headings below to go to the titles in each section. Happy reading in 2012! Synopsis: Malcolm, the product of a broken union between a Canadian woman and a loner Scot, leads what he calls a “temporary life”– spending his summers in Vancouver with his mother and her various men and then returning to live with his father in Scotland during the school year. He leads this disjointed life without many friends until he gets kicked out of his Scottish school for a show of loyalty that leads to an unintended consequence. At his father’s suggestion, and with the help of a Canadian friend, Malcolm moves to Vancouver to complete his education. As he comes of age, he falls in and out of love and ultimately finds the girl of his dreams. Expat credentials: British by birth, Crosbie has lived in both locations of this story: Scotland and Canada. His current home is Vancouver, British Columbia, on the west coast. How we heard about it: ML Awanohara noticed a comment by Martin Crosbie on a Facebook post by a mutual friend, Gretchen Rubin (author of the bestseller The Happiness Project). She contacted Crosbie and he has graciously agreed to be interviewed for The Displaced Nation in April. Synposis: At 48, house taken by the bank, Lorri has little money. What can she do? And where can she go? 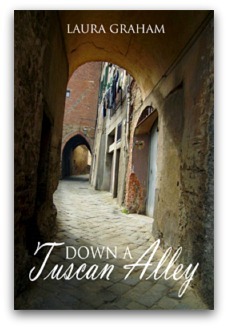 Gathering her meager savings and her two beloved cats, she escapes England for a new life in a remote Italian village, never imagining the intrigue, passion and adventure she will find. The story is loosely based on Graham’s own life. Expat credentials:After a successful acting career on television, the Royal Shakespeare Company and the Young Vic, Graham invested in a vacation retreat in Tuscany. She loved it so much that it became her permanent home. How we heard about it: In the comments section to our “Best of 2011” post. Synposis: A black writer from Montreal has found the perfect title for his next book I Am a Japanese Writer. 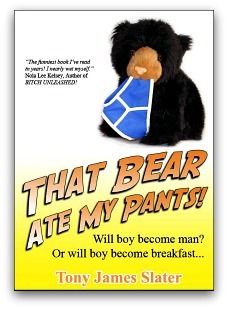 His publisher loves it and gives him an advance. The problem is, he can’t seem to write a word of it. He nurses his writer’s block by taking baths, re-reading the Japanese poet Basho and engaging in amorous intrigues with rising pop star Midori. The book, still unwritten, becomes a cult phenomenon in Japan, and the writer an international celebrity. Expat credentials: A journalist in his native Haiti during the notorious Duvalier regime, Laferrière immigrated to Canada in 1976. The author of twelve novels, he has won several awards, including the prestigious Prix Médicis and the Governor Generals award for a children’s novel. Laferrière lives in Montreal, QC. While it’s about a Montreal-based Haitian writer who becomes big in Japan, the plot doesn’t matter as much as its digressions and keen observations. There are few authors with as much wit, humor, and enthusiasm for parsing the ball of contradictions we call the human condition. Synopsis: When the Big Apple no longer felt big enough, Dave Prager and his wife, Jenny Steeves, moved to a city of sixteen million people — and, seemingly, twice that many horns honking at once. 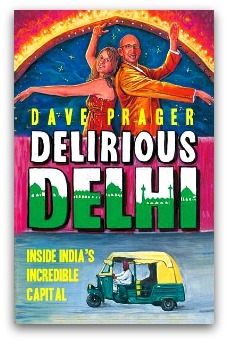 Dave takes readers through India’s capital as he and Jenny experienced it: isolated, overwhelmed, and loving every minute of it. Call them the New Delhi Yankees. The book is based on the blog the couple co-authored, Our Delhi Struggle. Expat credentials: While working as a copywriter for a Madison Avenue advertising agency, Prager got an opportunity to spend a year-and-a-half working at the agency’s office in Gurgaon, India. After that, he and Jenny spent a year in Singapore before returning to the U.S. to start a family. How we heard about it: Through a tweet about a review by Matt Daniels on Mumbai Boss. 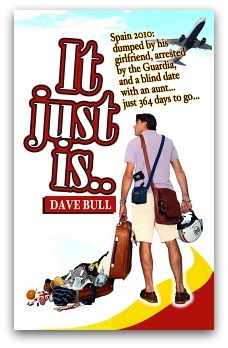 Synopsis: At the end of 1999 Dave Bull reluctantly moved to Alicante with his wife and his seven-year-old son to start a new life. Ten years later his life has changed following his divorce. In this book he provides a humorous account of his life living and working in Spain as a single dad, and looking for romance, and failing miserably. Expat credentials: Dave Bull has been living and working in Spain since 2000. Now a full-time writer he lives with his son, Mitch, and two dogs on the Costa Blanca penning his experiences and observations on living life as an expat in Spain. He publishes one of the most successful magazines on the Costa Blanca and has been the editor of two regional expat newspapers. How we heard about it: Dave Bull started following us on Twitter. 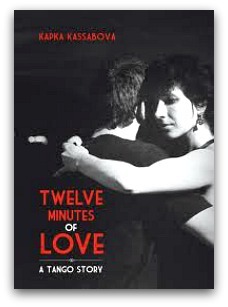 Synopsis: Kapka Kassabova first set foot in a tango studio ten years ago and, from that moment, she was hooked. She’s danced through the night, from Auckland to Edinburgh, from Berlin to Buenos Aires… Now she tells the story of the dance fro its afro roots and entices us to join her at the milonga. For years, Kassabova planned to write a novel on tango, until one day she finally realized that it was her own story she wanted to tell. Expat credentials: Born in Sofia, Bulgaria, Kasobovo left as a teenager to live in England and then New Zealand. She now resides in Edinburgh, Scotland. How we heard about it: From a tweet by Sonia Marsh (@GutsyLiving) to a guest post by Kassabova on the blog Write to Done. 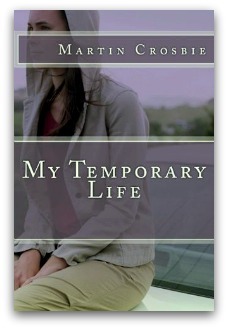 Synopsis: In a dramatic turn of events, Cook’s marriage breaks down and her perfect life falls apart. She opts for a complete change of scene, traveling to India to do volunteer work. But reinventing herself is not as easy as it sounds. Just as she is beginning to wonder whether she’ll ever find her way in the chaos and confusion of India, she meets a man. So begins her second lease on life. The book grew out of Cook’s immensely popular blog, Diary of a White Indian Housewife. Expat credentials: Cook went to India in 2005 while on leave from her government job in Melbourne, Australia, to do community service work in Calcutta. That’s where she met her future husband, a DJ who was in residency at one of the city’s biggest nightclubs. The couple now live in Mumbai. 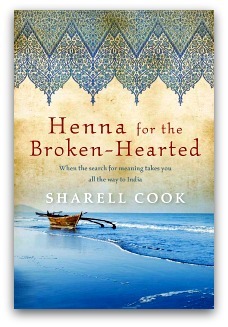 In addition to her blog, Cook writes and maintains About.com’s India Travel site. 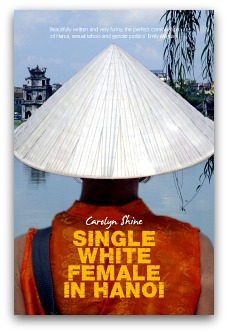 Synopsis: Sydney-based musician Carolyn Shine moves to Hanoi virtually on a whim, expecting to find romance and available culture. Her travel memoir introduces us to a cast of memorable Vietnamese characters as well as her fellow foreigners searching for love and adventure. Shine’s own adventures include teaching English, sub-editing a propaganda news sheet, and forming a blues band. As far as romance goes, she’s in for some surprises. Expat credentials: Shine is a musician and author who moved to Hanoi in 2002. She has now returned to her native Sydney. How we heard about it: Through an article in the Sydney Morning Herald reporting on the sensation Shine’s book created in Vietnam owing a mistranslation of the title. Synopsis: In 2000 Donna Morang sold all her earthly possessions and left the United States to teach ESL (English as a second language). 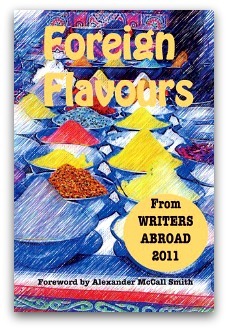 She recounts her travel to three continents, and twelve countries. 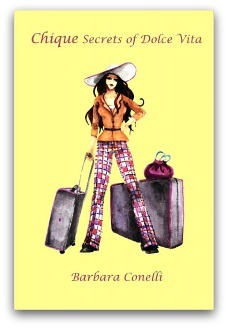 This book is NOT about a woman going in search of herself, or looking for a better life. She already knows that life is beautiful, and she lives it to the fullest. Expat credentials: Morang has lived outside the United States for over a decade. How we heard about: In the comments section to our “Best of 2011” post. Synopsis: When Tony James Slater signed on for a volunteer stint in South America, he expected it would be a kind of rite of passage into manhood — only to realize he’d become the latest example of the Idiot Abroad. Whether losing a machete fight with a tree, picking dead tarantulas out of a tank of live ones or sewing the head back on to a partially decapitated crocodile, Slater’s misadventures are ridiculous, unbelievable and always entertaining. Expat credentials: Slater worked as a volunteer in an Ecuadorian wildlife refuge for six months and is now an expat in Australia. Synopsis: Gwenda Gofton had always loved the open road, but her home town of Newcastle didn’t really offer the sort of adventure she longed for. So, in 1957, with friend and fellow nurse Pat in tow, she left the dismal British winter behind, and embarked on an amazing American adventure. After a year nursing in Cleveland, Gwenda, Pat and three new friends set off on a road trip around North America, driving in a rickety 1949 Ford. This nostalgic memoir is based on the letters Gofton sent home, which she shared with her daughter (and co-author), Barbara Fox. 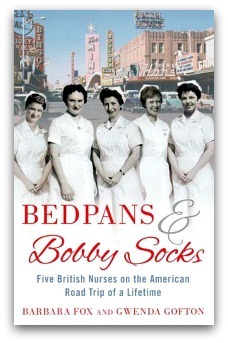 Expat credentials: In early 1957, when Gofton was 23 and working as a nurse in London, she saw an advert for a job in America offering the sum of £90 a month – unbelievable riches – to work for a year at a hospital in Cleveland, Ohio. Thus began an expat and travel adventure that lasted over two years. 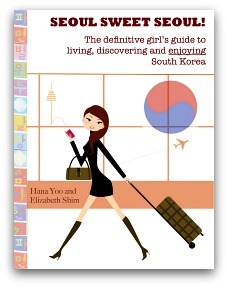 Expat credentials: Born in Seoul, Korea, Shim grew up here, there, basically everywhere. 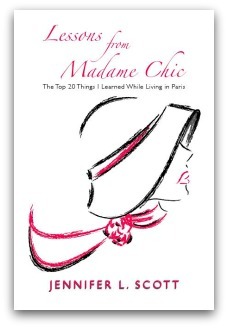 Synopsis: Have you ever wondered what everyday life is like inside a modern, aristocratic Parisian household? Scott shares the secrets she learned while living behind Famille Chic’s doors in the exclusive 16th arrondissement in Paris. Some of the topics explored include cultivating an air of mystery, le no makeup look, the 10-item wardrobe, rejection of new materialism, the art of femininity and life as a formal affair. Expat credentials: Now living in Santa Montica, California, Scott reflects on the time over ten years ago when she was a student at the University of Southern California, and lived in France for a semester. She landed in an upscale Paris apartment belonging to a sophisticated couple she dubbed Madame and Monsieur Chic. How we heard about it: Through a tweet by the author (@jenlyneva). NOTE: Jennifer Scott has since become one of our author interviewees! Expat credentials: Born in London to an Austrian mother and an Italian father, Conelli considers herself Italian thanks to the influence of her Milanese grandmother. As an adult, she’s lived all over the world: Europe, the Middle East, Australia and the United States. Currently, she divides her time between New York City and Milan but one day aspires to retreat to French Polynesia. How we heard about it: Conelli interviewed one of our 12 Nomads of Christmas 2011, Lyn Fuchs, which sparked a post about Fuchs — and then an interview with the amazing Conelli herself during TDN’s fashion month (March 2012). Synopsis: Crossing borders and boundaries, countries and cultures, they are the children of the military, diplomatic corps, international business, education and missions communities. They are called Third Culture Kids or Global Nomads, and the many benefits of their lifestyle expanded worldview, multiplicity of languages, tolerance for difference are often mitigated by recurring losses of relationships, of stability, of permanent roots. This groundbreaking collection aims to teach what it is like to grow up among worlds. How we heard about it: A blog post by DrieCulturen. Awesome, thanks guys! Some fascinating looking books here – including mine! This is a GREAT time to be an ex-pat author because added to our arsenal of mobile technology, we finally have a way to publish and market our books from wherever we are in the world. Not too long ago I was sending heavy manuscript parcels back and forth from whatever hemisphere I was in to whatever hemisphere wanted to publish me – and Oh My God that was a lot of effort. Now I just need a person with a degree in HTML (or an 11-year old), to be present when I press ‘publish’. And as for reading… well I can see why the bookshops are (sadly) in decline. It’s 40° here, and last year I’d have had two choices; to climb into the oven (my car – with no air conditioning), head down the hill and along the highway for 40 minutes, leap into the a/c haven of the nearest Borders and only then discover that none of the above books are in stock. Or that Borders was closed because it’s New Years Eve. By the time I got home I’d be dripping, shaking, not really capable of reading anyway. Choice no. 2? Bugger it. I can read next year. Now I just sit here, in the broiler (my house – also has no air conditioning – because I’m cheap) and click ‘buy’ on Amazon.com. As if by magic there it is! 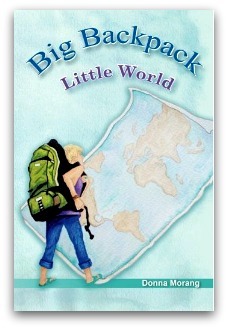 I think I’ll try ‘Big Backpack, Little World’ first. 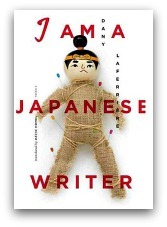 This is a great list–off to look for I am a Japanese Writer. Thanks!